Horizon Concept Pvt Ltd: IRIDIA PROJECT – SCALES 5 FLOORS IN LESS THAN 1 YEAR! IRIDIA PROJECT – SCALES 5 FLOORS IN LESS THAN 1 YEAR! 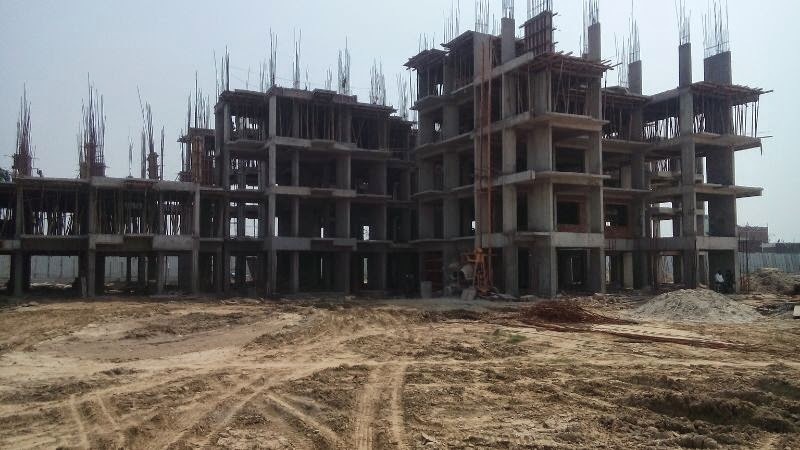 New Delhi, 16thApril, 2014:Horizon Concept, a prominent real estate developer in Noida has set new benchmarks for speed of construction in its flagship residential project. 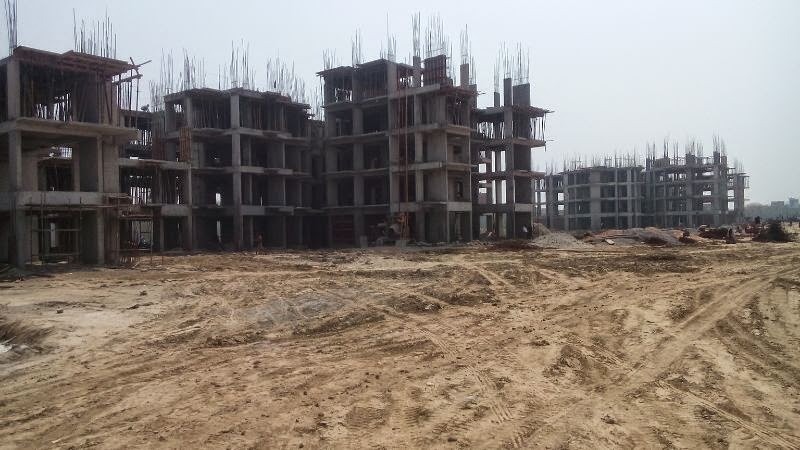 Construction at its IRIDIAproject, located in Noida sector 86 has been going on at breakneck speed with 5 floors being simultaneously scaled on all of the five towers in the project within one year of start of construction floor. The Company commenced construction on this project in last year March, 2013 on its 6 acre project. With the construction of all the five towers progressing to the fifth floor the developer is hopeful of completing the project within the original timeline. Quality and timely completion of the projects are the key drivers of the contemporary realty world. Horizon Concept is a firm believer of this and ‘timely delivery’ of the projects. IRIDIA in sector- 86, Noida (Expressway) is a 6 acre beautifully designed project of Horizon concept inspired by the grandeur of the 325 acre majestic forest. Iridia establishing 780 dwelling units, the company also intends to provide exceptional architectural facilities. · Iridia apartments-an integrated environ with the best updated facilities that noida sector 86 has yet to entertain. · A glorious self sustained world- created to thrive with the best in building materials, aesthetically designed. · Clean and serene environment encouraging health and active lifestyle. · Amidst lush green and interestingly landscaped open areas, with walkways, well planned out- road, and conveniences. Utmost luxury has been taken care of. The concept of power of space has been thoroughly followed; each apartment has been aesthetically designed to provide the best in luxury & comfort. Each apartment is lavishly detailed & equipped with the best facilities. Interiors at the stupendous luxury Apartments are amongst the best in elegance and feel the perfect balance between space and architecture is noticeable on the very first step in each apartment. Every Detail let it be flooring, tiles, paint or finishing, has been minutely Taken Care of. The style and elegance is achieved in kitchen decor within the parameters of convenience and ease. Special care Facilities for residents. Horizon Concept Group is a collaboration of Horizon Buildcon groupfounded by Mr. NareshSabharwalConcept groupand which was founded by Mr. Jasmittar Singh Sandha in the year 1996 with a vision to create an innovative company. Horizon Concept stands on the bedrock of tomorrow, of innovation and all the values that embody the spirit of exploration. Horizon Concept projects strive to go beyond expectations and create a unique life experience for their clients. Horizon Conceptis constantly delivering expertise that is composed of a distinct vision, immense strength, committed efforts and gained recognition as a leading turnkey solutions provider in the industry. The group has had a successful journey of constructing and dealing in sales/purchase/leasing. As a group they also excel in property management, Turn key projects such as Hotels, Malls and Housing properties. Horizon concept have delivered more than 1.7 million sq. ft of residential space, 1 million sq. ft of commercial space and 2 million sqft of govt./ public space. Horizon Concepthave created landmarks like Gautam Buddha University (Asia’s Largest University spread over 850 acres), Greater Noida; Dr. Ambedkar SC/ ST Hostel, Greater Noida ; SavitriBaiPhoole Girls Inter College, Greater Noida and Cricket Pavillion Sports Complex, Greater Noida.We have hotels like Sarovar Portico in Badrinath which is a landmark; Sarovar Portico in Rishikesh and DoosriMehfilin Sector-18, Noida.